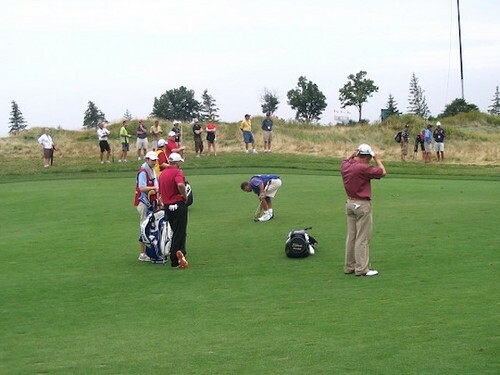 As golf fans, we all dream of one day getting a taste of life on tour. I got my first taste in 2014 as part of a PGA Tour “entourage,” traveling to three consecutive PGA Tour events in Malaysia, Mississippi and Mexico. My role was that of trainer, massage therapist and nutritionist to Cameron Smith, and I had exclusive, inside-the-ropes access at each of the events. The young Aussie was aiming to become only the seventh player in PGA Tour history to bypass tour qualifying school and the Web.com tour, and play his way on to the Tour through exemptions via top-10 finishes and sponsor invites. A T5 finish in Malaysia got him off on the right track. As a fitness professional and a rusty six-marker, I learned a lot from this experience and wanted to share my insights about fitness, golf and life on tour. Below are the top five things I learned from my time spent with Cameron Smith, from which I hope you will benefit as well. These guys are good, but they’re not perfect! I watched a lot of golf during those three weeks, following Cameron during each competitive and practice round. He was paired with a variety of different players, from major champions and Ryder Cup heroes to journey-man pros. They all missed fairways, they all hit it in bunkers and they all lipped out short putts. Although there were many, many great golf shots from each and every player, not one of them played flawless golf for 18, 9 or even 5 holes in a row. If the best players in the world aren’t perfect, then neither are you or I. Accept that you’ll make mistakes — even count on it. Lower your expectations a little and have some fun. You might even shoot a better score! 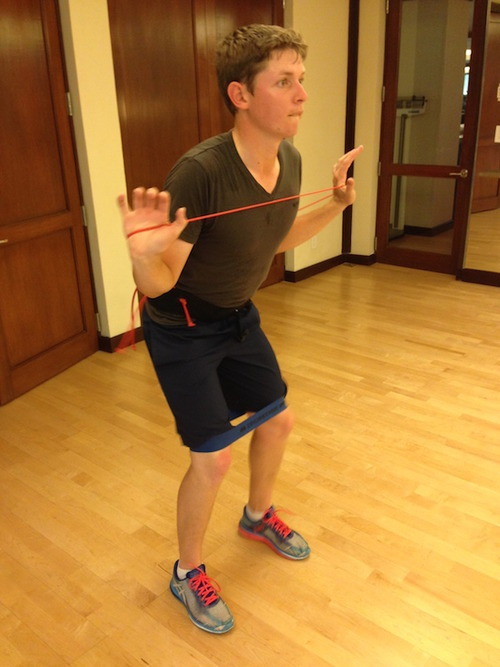 Every time we got off a plane, I saw Cameron’s shoulder’s and head come forward and his hips tighten up — his movement quality declined as a result. We had to do lots of “anti-travel” exercises to compensate for this and get him back on track. You might not do a huge amount of plane travel, but I’m willing to bet you sit for extended periods of the day. The commute to work, using the computer and watching TV are the equivalent of those long plane journeys on tour. Sitting and slouching extensively reeks havoc with your posture, which leads to poor set-up, alignment, missed shots and even injury. 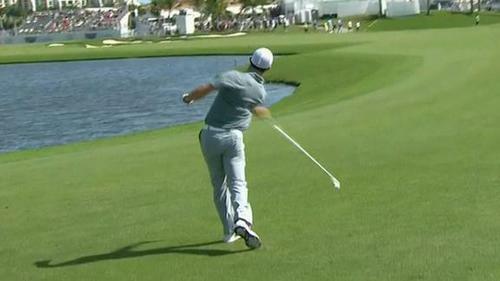 PGA Tour pros don’t always aim at the flag. Walking inside the ropes on practice rounds allowed me to eavesdrop on lots of strategic conversions between players and caddies. 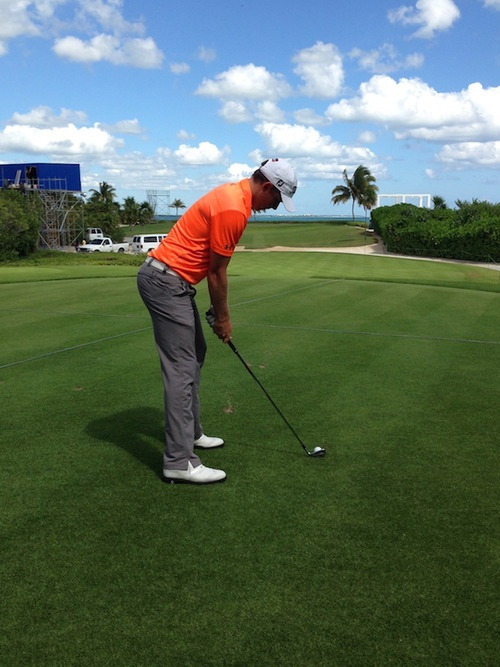 Often PGA Tour players are aiming 20-to-30 feet away from the hole. Why? Because they know they’re not perfect and don’t want to miss the green in a dangerous spot. These guys don’t miss by much, we miss by lots — so why on earth are we firing at flags? If we just aim at the middle of the green, we’ll probably end up closer to the hole! A course-charting expert who works with Golf Australia is a firm believer that if we removed the flag stick from every hole, forcing us to simply aim for the middle of the green, then club golfers would score much better on average. Nutrition and hydration are crucial. At the CIMB Classic in Malaysia, it was really hot and incredibly humid. Regular small snacks and a water intake of around 6 liters (1.5 gallons) during the round were key to Cameron finishing strong each day. By contrast, many of his playing partners faded badly in the last few holes and were noticeably fatigued. 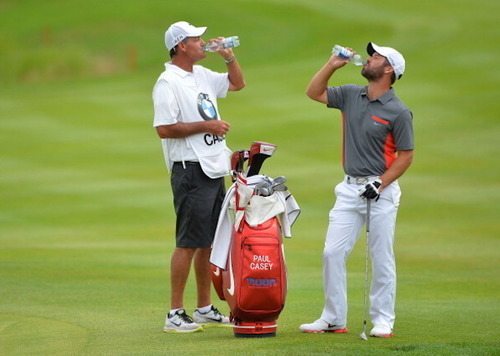 I’m big on food and water consumption before, during and after golf. Being well hydrated and nourished could be the difference between finishing our rounds strong and riding the bogey train express all the way to the clubhouse. Have a solid meal two hours before tee off. Then eat a mix of fruit, nuts and natural protein bars on hole Nos. 3, 9 and 15. Quantity is dependent on the individual — try not to stuff yourself, but don’t go hungry either! Water intake should be higher than usual before, during and after the round. Aim for 1.5 pints before the round, three pints during the round and another one pint after. Double that if you are playing in hot and humid conditions. You’ll see and hear more as a spectator during a practice round. Being able to walk inside the ropes with no one else around gave me a great insight into strategy and on-course preparation. The experience taught me that these guys are good (but not perfect), and allowed me to take up-close video footage and even chat to some of the other players. Instead of going to an event to watch the weekend play and fighting the crowds to get a glimpse of the leaders, try turning up on Tuesday and watching the practice round. Take your camera and make some notes on what you see — you might just learn something!